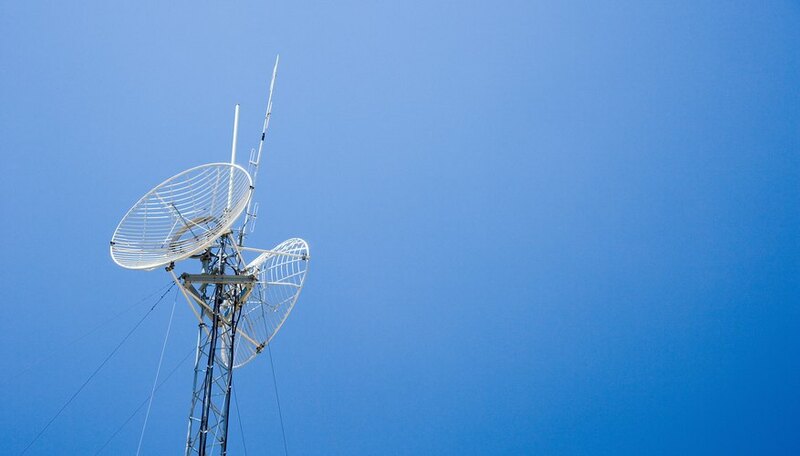 There are three primary tower types: mast, lattice and pole systems, that are typically oriented to the construction of today's cell and microwave antennas. These systems are some of the largest man-made structures on the planet and today's communications, broadcast and power systems could not effectively operate without them. Depending on the particular industry the words "tower" and "mast" can be used interchangeably. These antenna are typically square-based, vertical structures used to elevate communications equipment or radiate an electronic signal in order to produce what is referred to as clear "line of sight" between one or more receiving/transmitting sites. These structures can be tall, for example the former Warsaw radio mast was 2,120.67 feet tall, until it collapsed in 1991 due to an engineering maintenance error. The advantage of this configuration is cost, since these structures require minimal real estate to construct in urban areas. Lattice towers are similar to vertical mast structures, however, these systems are more typically triangular, or of an extended-box configuration. In the latter case, this produces a wider base than its top, and the entire structure is constructed by creating a series of horizontal ladders, or internal triangular structures, that secure the tower's three, or four base legs. In concert with masts, these systems can be quite high, with the current Guangzhou TV and Sightseeing Tower in Guangzhou China being the tallest tower structure in the world at 2001 feet tall. Pole tower configurations became more fashionable, once alternative construction materials began to exhibit greater strength and flexibility without failing. With the advent of urban cell and commercial microwave systems in the early '90s, developers wanted a more efficient way to construct and operate medium-height elevation systems, and they hit on the idea of the pole configuration. Today these free-standing towers are typically fabricated from concrete or metal, and able to "lift" various medium-weight components as high as 100 feet, without additional support such as wires. Since 1984, Rick Carlton has authored more than 450 articles on the principles, application, analysis and deployment of interoperable enterprise technologies. Additionally, he has written more than 150 feature articles on aviation, auto and motorsports topics including work for The Auto Channel, "Automobile," "Flight Training" and "On-Track" magazine. He holds a Bachelor of Fine Arts in music from the University of Missouri at Kansas City. What Two Bodies of Water Does the Panama Canal Connect? Carlton, Rick. "Antenna Tower Types." Sciencing, https://sciencing.com/antenna-tower-types-5863723.html. 24 April 2017.